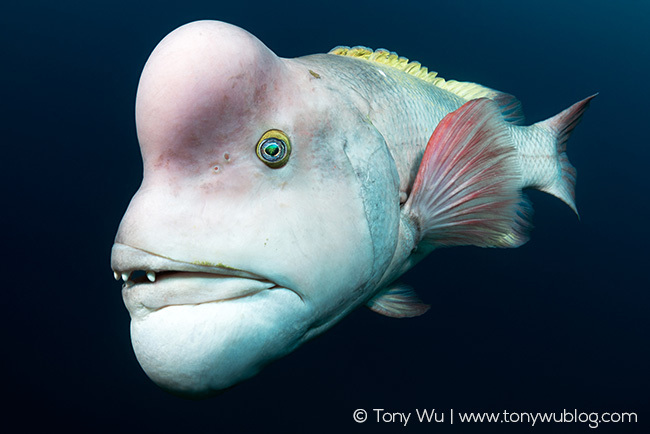 This portrait of a mature male Asian sheepshead wrasse (Semicossyphus reticulatus) that I took last year* in Japan will receive recognition (Highly Commended, Animal Portraits category) at the upcoming 54th Wildlife Photographer of the Year (#WPY54) awards ceremony at the Natural History Museum, London on 16 October. This fish was featured in BBC’s Blue Planet II, so if you haven’t already seen the series, watch the program to learn more. I unfortunately will not be able to attend the gathering this year. I will be out photographing. But If you’re in London or planning to visit soon, definitely go see the exhibit, which starts on 17 October!